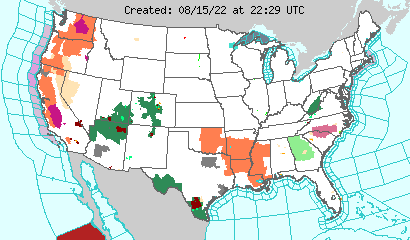 Earlier this evening, several supercells erupted in Central Oklahoma, producing several strong to violent tornadoes. These tornadoes impacted communities such as Edmond, Carney, Norman, Bethel Acres and Shawnee. Much of the attention now including prayers have been focused on those impacted in a mobile home park directly in the path of the tornado where at least one fatality has occurred. The following link goes to an interactive map showing the approximate paths of the three most significant tornadoes that impacted Central Oklahoma. The map has a bookmark feature where you can view the Edmond, Carney and Norman to Shawnee tornadoes. Similar tornado path maps have been very helpful and highly accurate for other significant tornadoes events over the past several years. Click on the graphic to launch an interactive map. The map contains bookmarks for the 3 tornadoes as well as an address lookup feature. 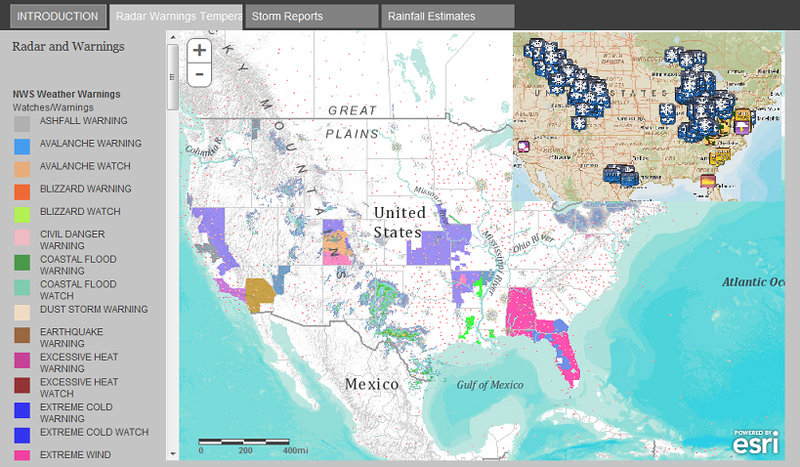 This information is unofficial information, but is based upon NWS Radar scans and uses the National Climate Data Center Weather/Climate Toolkit (NCDC WCT) and ESRI’s ArcGIS Online. For official storm survey results, please follow the National Weather Service in Norman, Oklahoma (@NWSNorman). In the coming days, the National Weather Service will be performing storm damage surveys. When more information is made available, I’ll be linking to those products. It’s incredible to think of how today progressed…. First I shared a presentation on this topic to several of my peers around the country to share a methodology with the hopes of helping people tomorrow and in other tornado outbreaks, and the next thing I know, I’m talking to my brother in Oklahoma who is trying to get home to Norman after school, with a tornado warning for his home town. It’s amazing to see the impact of how technology and information can be brought together to help protect lives. I ended up helping guide him home to keep out of the storm while the tornado passed less than 1/2 mile from his house, telling him to stay put and keeping him out of harm, but still guiding him home. Thankfully everyone in the family is safe, but it’s incredible to know that it makes a difference so close to home. I love how maps can be used to tell a story. This fact just became easier with a recent addition to ESRI’s ArcGIS Online tools. When you create a web map in ArcGIS Online, you can make it into a web application using a number of templates. One of the most recent additions is the Tabbed Storytelling template. There are still a few bugs that need to be worked out (like customizing the “Add Title Here” area), but all in all, it’s a great addition to the templates used by ArcGIS Online. It took me 45 minutes to an hour to put together the map at the following link. Are you looking for ways to share information on music, history, science, the arts, or many other disciplines in new ways? Are you looking for a way to “connect the dots” to present material to your students? Are you in a profession where information silos are prevalent and you’re looking for opportunities to explore and integrate previously disconnected resources? Is it Possible?? Interactive Wind Forecast Map??? In previous post Quick Web Maps – How’d you do that?? ?, I presented how interactive maps can be ArcGIS Online. In today’s example, we are going to look at viewing the same Web Map except this time using ArcGIS Explorer Online. (For more information on ArcGIS Explorer Online, follow the ESRI ArcGIS Online Blog. Quick Web Maps – How’d you do that?? ?